Hiring a vehicle can provide an excellent opportunity to explore a holiday destination at your own pace, giving you greater flexibility over where and what you see. However, you’ll probably also know that it pays to be cautious when hiring a vehicle overseas, especially if you want to avoid additional fees and charges. According to Which? 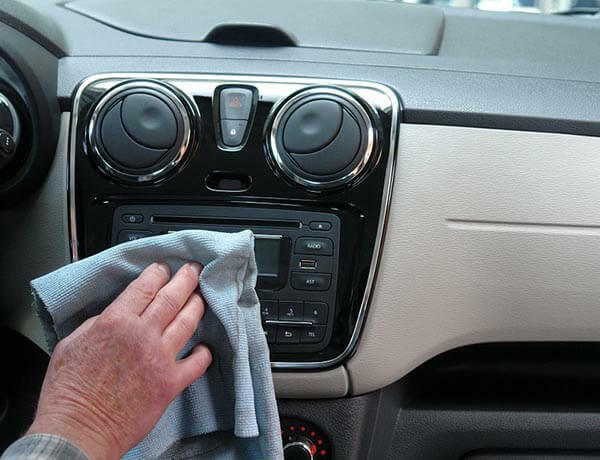 one of these pitfalls relates to the cleanliness of the vehicle when it is returned. Which? reports that a number of firms have cleaning charges if they feel a vehicle is returned dirty and this can range from tens to hundreds of pounds. A special cleaning service at Europcar will set you back £85 for example, whereas you can expect to pay £133 and £215 for similar services at Goldcar and Firefly respectively. Interrent meanwhile, charge an upfront fee of £7.50, which could rise to £18 if you refuse to pay it if the car is returned dirty. Worse still, it could reach £100 if the firm decides a ‘special clean’ is required. As you can see, taking the time to ensure that your hire vehicle is returned in a good state of cleanliness can help to keep your holiday costs down. While you can take great care to ensure that your car is kept in a clean state by avoiding situations where it could become overly dirty, you should still check it over when you return it. As with any car hire, you should take as many pictures of the vehicle as you can, both when you receive it and when you drop it off with the rental firm. Don’t forget to hunt throughout the many compartments of the car to ensure that you haven’t left anything behind and check the small print of the contract to see if there are any other hire requirements. For instance, you can avoid extra fees by ensuring that the hire car is returned with a full tank if that is a stipulated requirement. You may also be able to keep any potential outlays down by investing in car hire excess insurance, which protects against the excess you would need to pay should your hire vehicle be damaged or stolen. The cover is readily available and costs a lot less than you may think – get a quote today to see how little car hire excess insurance may cost.